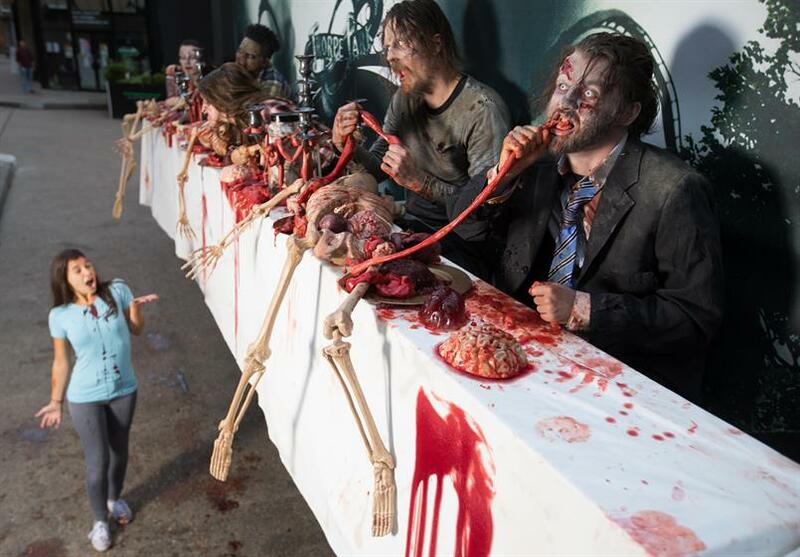 Thorpe Park Resort created a gory billboard with zombies feasting on blood and entrails to market its two new The Walking Dead mazes ahead of the theme park's "annual fright nights". The living billboard soaked passersby with blood and guts, created using over 50kg of offal and blood, in east London this morning. It is set to be rolled out nationally over the next eight weeks. 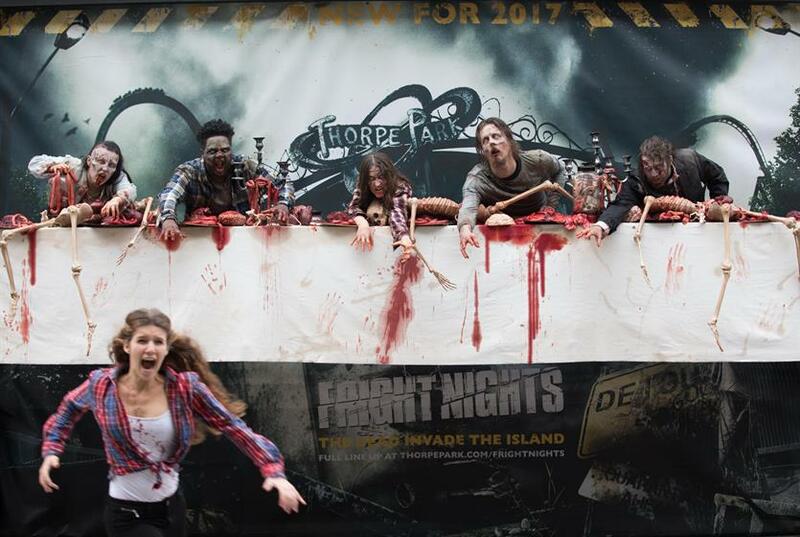 The zombies also took to the streets with sandwich boards to promote the new attraction. 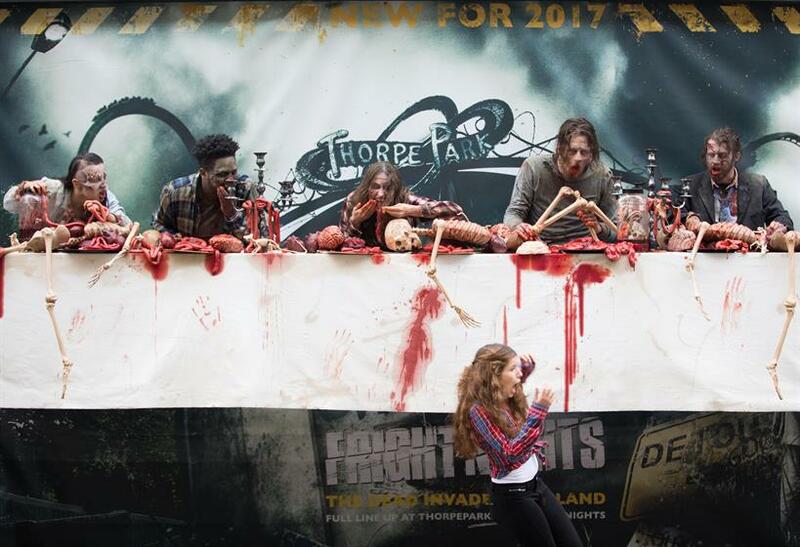 Thorpe Park has struck a deal with AMC, the TV network behind The Walking Dead, to launch the mazes to coincide with the eight season of the show from 23 October, and the 100th episode. The campaign was created by PR agency Taylor Herring.